The quirky 18th-century wooden homes of the Damstredet street are a nice change of pace from the modern architecture of the city centre. Damstredet is a small and narrow street, located in the borough of St. Hanshaugen. 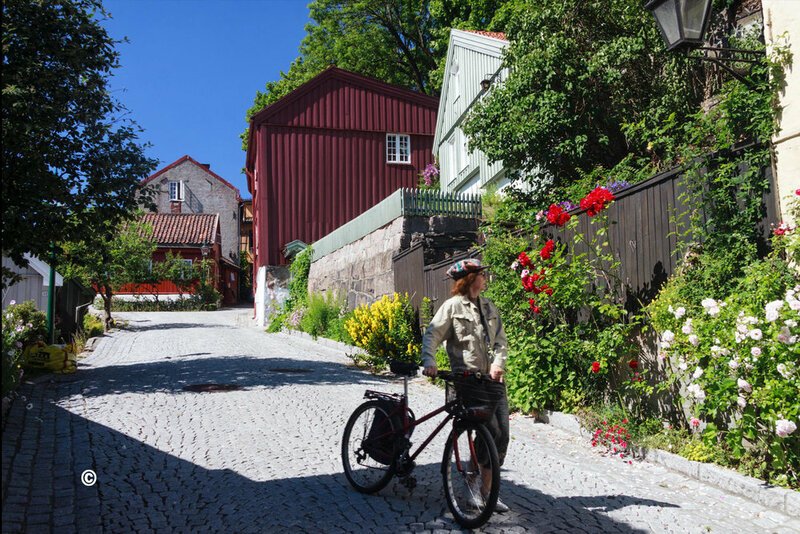 Damstredet has managed to survive intact as a charming part of town, with well-preserved and inhabited wooden houses, now one of the few streets that retains the then small town character of Oslo in a genuine manner. The surrounding area includes allotment gardens and the medieval Gamle Aker kirke church.Damstredet was mostly built from 1810 to 1860, as part of the expansion of Oslo that begun at this time. The first house, Solberg, was erected in 1756 by sculptor Ole Meyer. His nephew, sculptor Andreas Hansen Meyer, took over in 1767, while his son Ole, also sculptor, erected another building in 1838.